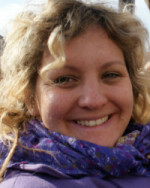 I am Dora Fila Butković, English and German teacher, tourist guide and conference interpreter. ZagrebTalks best represents all I do. Since I equally like teaching foreign languages, guiding tourists through my city and interpreting, 2007 I decided to become a small entrepreneur. I like Zagreb very much. I started guiding while I was still studying. Today I offer various theme city tours, which resulted from my work, experience and love for my city. I believe we can all learn a foreign language if we make an effort and take the right approach. My classes are based on individual approach to students and their needs. Ever since I started studying languages my wish was to work as conference interpreter one day. 2007 I had the chance to study conference interpreting at the Zagreb University Centre for Post gradual Studies. Today I am a certified conference interpreter accredited to work in EU institutions. Feel free to contact me if you need any of my services. I will be happy to work with you!